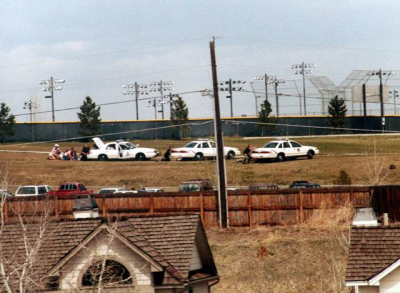 20 years since the Columbine High School Massacre. Please remember this day for those who lost their lives too soon. For the 13 innocent victims, and the families who’s loved one will never get to come home. 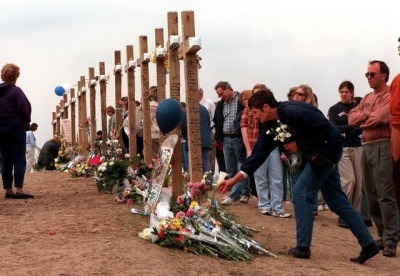 As well, remember those who were injured and live with the pain of April 20th, 1999 to this day. Where the sadness, shock and terror from that tragedy will last forever. 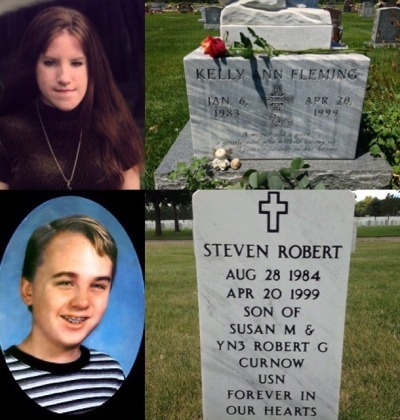 As well, remember those who took their lives after Columbine. 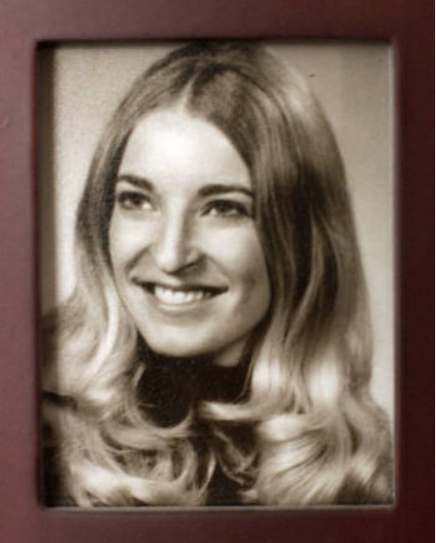 She was the mother of paralyzed injured survivor, Anne Hochhalter. 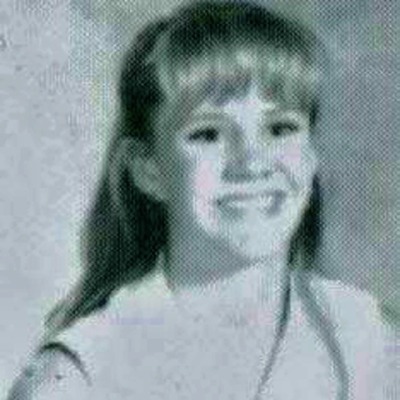 She took her life six months after the tragedy. 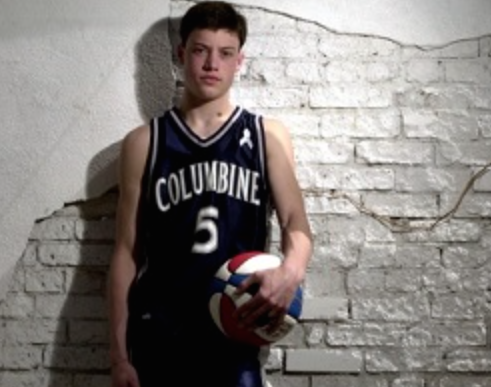 He was a student at Columbine and a star basketball player at the school. 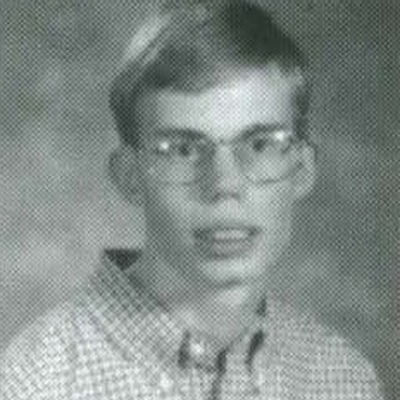 Greg was 17 at the time of the shooting. 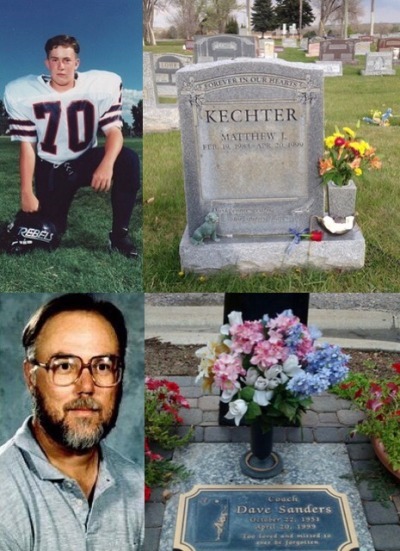 His best friend, Matthew Kechter died in the shooting. Greg also witnessed coach Dave Sanders die. 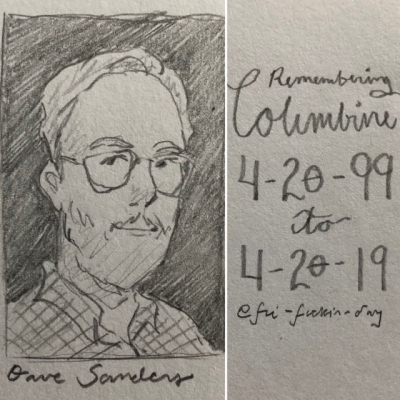 He took his life two weeks after the first anniversary of Columbine. 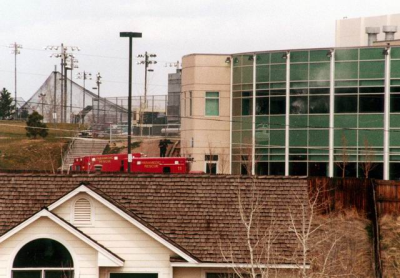 On April 20th 1999, 13 innocent people were senselessly killed in a shooting at Columbine High School in Colorado. Today, 20 years later, we still feel the void of their absence. We remember their lives, the people they were, and who they could’ve become. Although their time here was cut short, they live on in our memories everyday. We will not forget them. 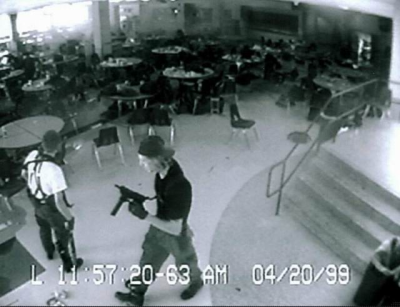 20 Years of The Columbine Massacre. 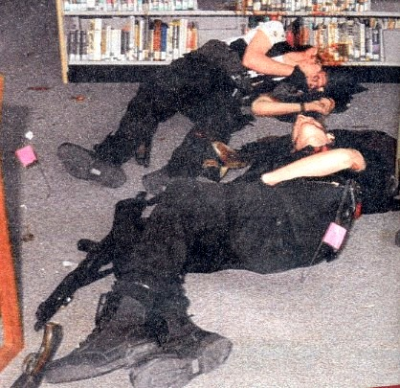 This is a collection of pictures of Columbine during/after the massacre. It’s a long post, but please be patient, it took me a long time to make. WARNING: There are some images containing blood so if you’re sensitive, watch out. 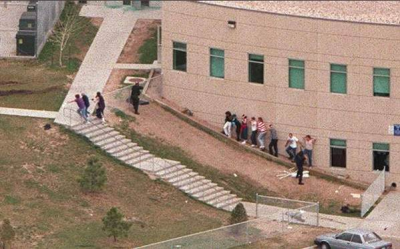 downhill from Columbine’s west entry, at the top of the photo, you can see broken glass from the shot-up doors, at the bottom of the photo on the far right is the broken window of the teacher’s lounge where SWAT released students and teachers from the school. The white things heaped on the ground are window blinds. 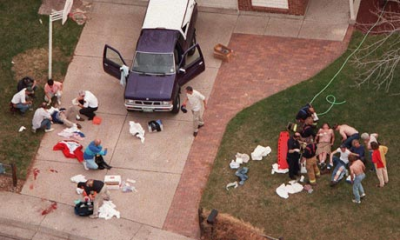 Dan Rohrbough’s body can be seen at the base of the stairs on the sidewalk. 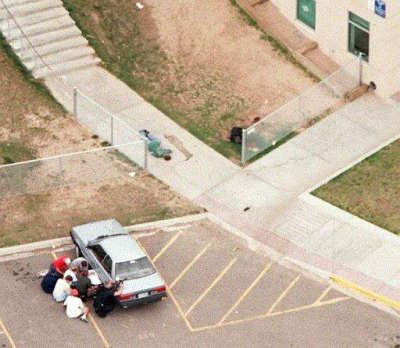 an aerial view shows a triage area near Columbine High School in Littleton, where medics tend to the wounded in the wake of the massacre. 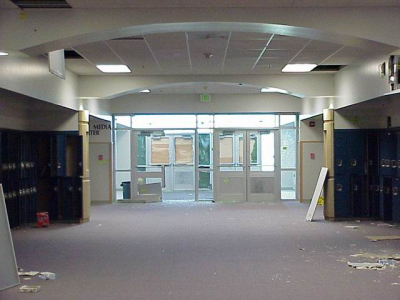 west student entrance where the killers entered the school. 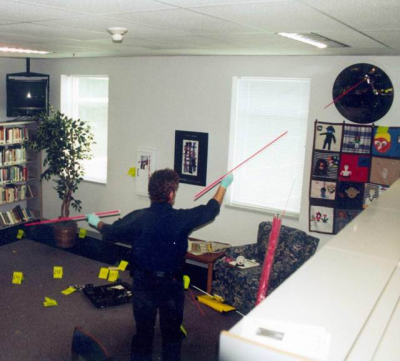 the windows were shot out by Eric when he fired on substitute Patti Nielson and student Brian Anderson. the west entry was a double set of doors with a short hall between the two sets of doors. from the ceiling were shot out. It’s officially the day... 4/20. Damn. 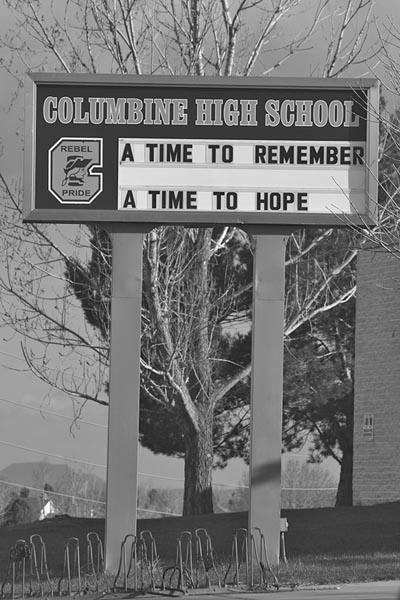 Well here we are, 20 years after the tragedy at Columbine High School in Littleton, Colorado. 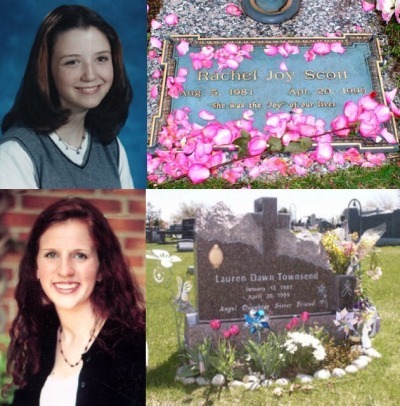 Today is a day of remembrance of the beautiful lives that were cut short. The ones who’s lives could’ve gone on in happiness and success. The lives that touched so many souls, and brought smiles to many people’s faces. Today, we remember the VICTIMS. May all 13 of you have found your way into the afterlife, whatever it may have been. We all love and miss you dearly. Featuring survivors - Lance Kirklin, Makai Hall, Diwata Perez, & Heather Martin. I wonder what was going on in their minds in those minutes. 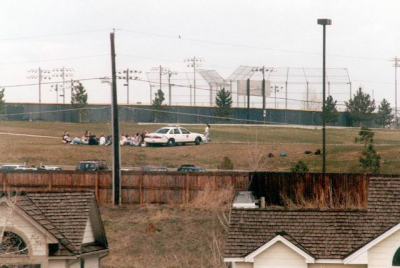 It’s been 20 years since the horrific tragedy that occurred at Columbine High School. My heart goes out to the 13 innocent victims who lost their lives that day, and their families. 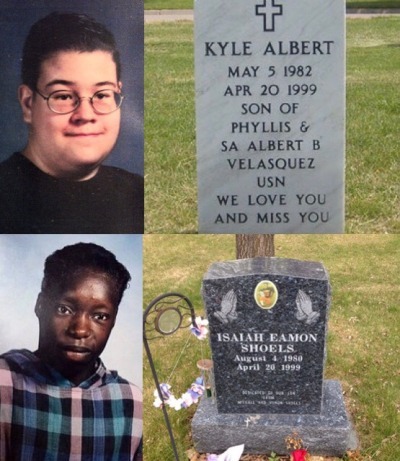 My heart also goes out to the Klebold and Harris families who I hope are now living at peace with themselves. 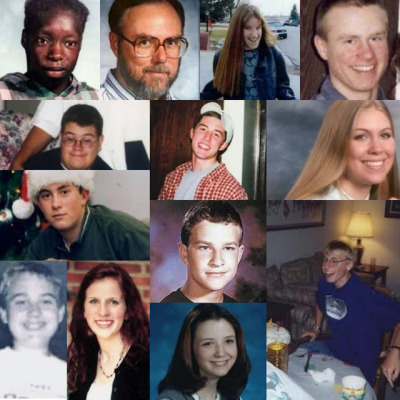 20 years ago, on April 20, during the massacre at Columbine High School, we lost not only 13 dear people, but 24 people were terribly injured after which they could never return to their previous lives. 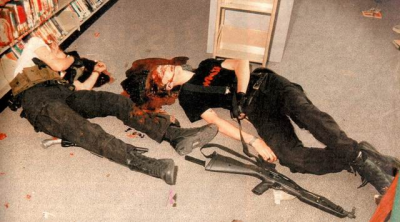 Richard Castaldo (17 in 1999) - He was shot 8 times in his left arm, right arm, chest, back, and abdomen. Since the shooting he has to use a wheelchair. After the shooting he got his driver’s license and a car designed to be used by people in wheelchairs. 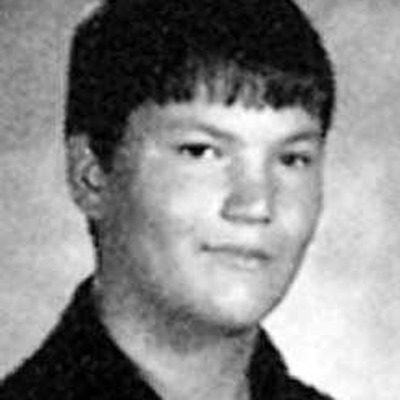 Lance Kirklin (16 in 1999) - Lance suffered from a total of five gunshot wounds. His jaw and face were rebuilt with bone and tissue from his leg as well as titanium alloy to replace lost bone in his thigh and jaw. The process took 9 operations. 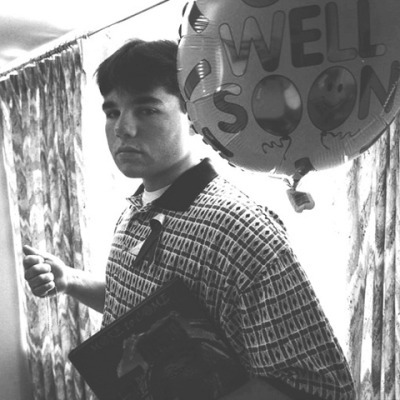 He was released from the hospital on May 15, 1999. 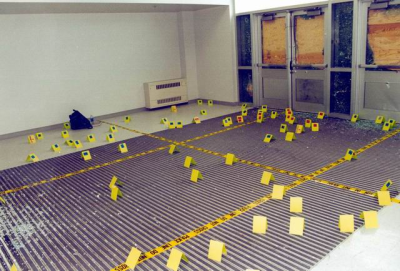 Anne-Marie Hochhalter (17 in 1999) - She tried to run to the safety of the cafeteria and was shot by once in the back and once in the chest. Paralyzed by a bullet that severed her spinal cord and went through her diaphragm (it was later found lodged in her liver), she collapsed, unable to move. She told investigators later that while she was playing dead she could hear one of the gunmen shouting orders to the other but couldn’t understand what they were saying. If rescue workers had been two minutes slower in reaching her, she would have died. Doctors later called her the “miracle girl”. After shooting, she has to use a wheelchair. Severe pain, disability and suicide of the mother did not break Anna, and she continues to fight to this day. 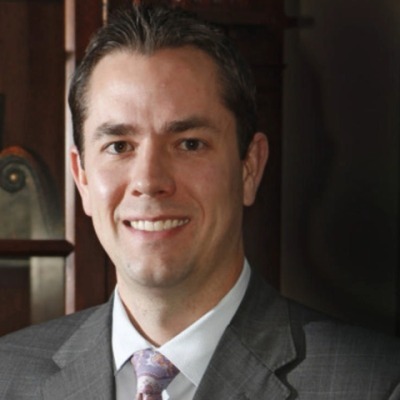 Sean Graves (15 in 1999) - His back/spine injury was deemed an ‘incomplete spinal injury’ by doctors, meaning that he was paralyzed below the injury level but retained some feeling and movement. 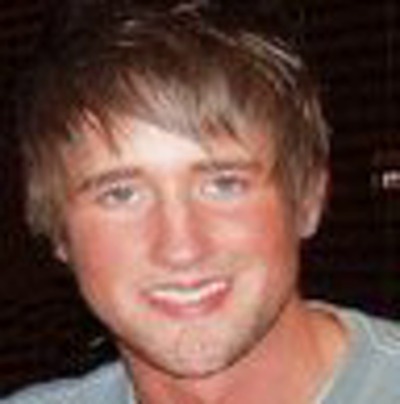 He was later moved to Craig Hospital for spinal cord rehabilitation. On June 20th, 1999 he took his first steps. He was released from Craig July 7th, 1999. Mark Taylor (17 in 1999) - He was hit several more times - twice in the chest and five times in the back - while laying there. As he watched, went over to where [Rachel] lay bleeding and shot her again as she tried to get up. Other students trampled Mark in their attempt to flee from the gunmen, thinking him dead. Eventually an officer showed up and dragged Mark to safety behind the nearby shed.Four of the eight bullets were left in him: Two near his aorta and two in his spine. He was released April 30, 1999.He was later re-admitted to Littleton Adventist for treatment of a staph infection in the wounds in his lungs. Was in and out of the hospital three times. 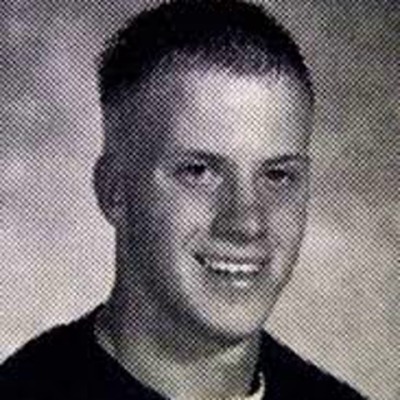 Michael Johnson (15 in 1999) - Michael was outside the cafeteria with four friends: Denny Rowe, Mark Taylor, John Cook, and Adam Thomas. 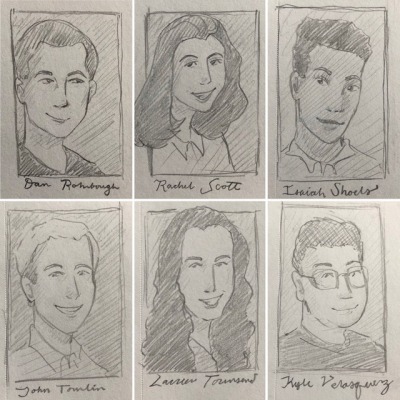 They were sitting on the grass near the east stairs when the shooting began.At first Michael didn’t know what was going on but he quickly realized bullets were hitting the ground near him and and his friends. He felt a sensation like someone had poured warm water on his left leg and he and his friends got up to run toward a shed that was about 120 yards away. As they ran he heard Mark cry out: “Oh my God! I’ve been shot!” as he fell to the ground. Mike continued to run. He felt another “warm feeling” on the back of his jaw and realized he’d been shot too. He managed to make it as far as the shed. Denny, John, and Adam kept running and jumped the nearby fence. Michael lay down and propped himself against the shed where noticed the left leg of his blue jeans was covered in blood from mid-thigh down to his ankle. Michael was in intensive care for 8 days during which time doctors had to wire his jaw shut and repair a ruptured blood vessel in his leg. He was released April 28, 1999. 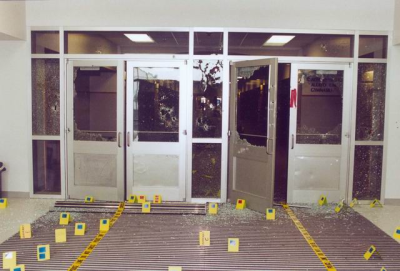 Brian Anderson (17 in 1999) walked past the glass doors with Patti Nilsson (35 in 1999) when gunmen shot at them. The shattered door knocked Brian and Patty. 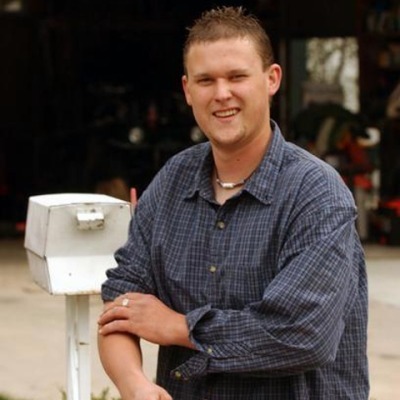 In 2008 a friend of Brian’s [Dewayne Johnson] said that 26 year old Brian Anderson has moved on with his life. He now owns his own trucking company in the Littleton, Colorado area. 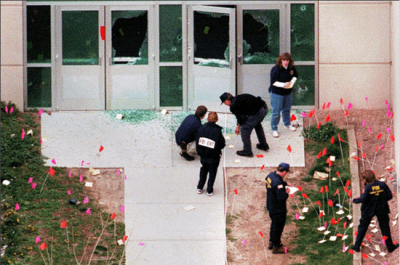 Brian still tries to make sense of that fateful day at Columbine High School. To this day he has not stepped one foot into any library nor does he like the sound of helicopters or fire alarms. 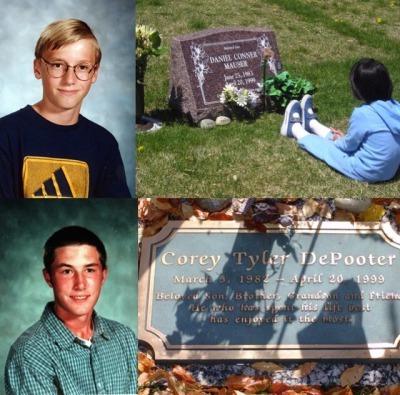 Brian lost his good friend and classmate Corey DePooter in the shooting and said there are times when he thinks of him and all the fun times they had in school. 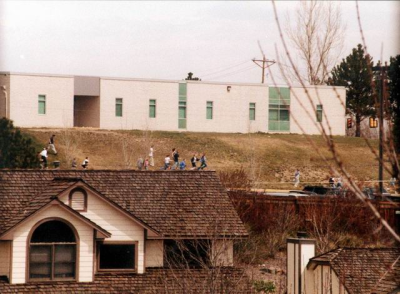 Recently Brian said he would like to go back to Columbine and see the new library and there he hopes to find more closure. Brian still lives in the Jefferson County area. 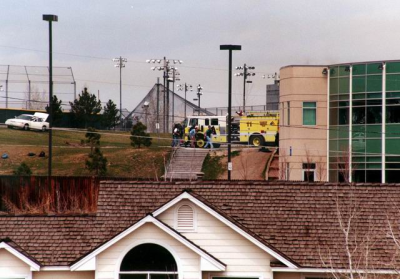 He would like to thank all those who pitched in with a helping hand during the whole ordeal at Columbine. Brian also stated that “there is one person that means a lot” to him and will always have a place in his heart because in his eyes she is a HERO and that is teacher Patti Nielson. 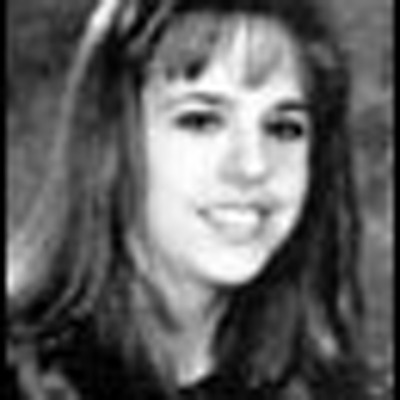 Stephanie Munson (17 in 1999) - Stephanie and her friend Melissa Walker were heading out of tech lab class to go talk with one of the A.C.E. teachers when she heard popping noises. She had never heard gunfire before so didn’t recognize the sound. About that time a male teacher ran up behind them, yelling at them to get out of the building. She and Melissa ran west toward the main entrance. 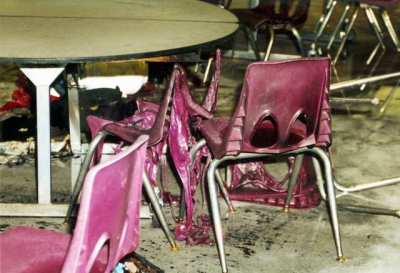 As they were exiting through the first set of double doors Stephanie felt as though her left foot exploded: There was a burning sensation and a pop, then her foot went numb.Once outside the school, Stephanie paused by the bike rack to look at her foot and saw that it was bleeding. Melissa, hysterical, insisted that she keep running. It wasn’t until Stephanie got across the street to Leawood Park that she was able to stop and take off her shoe and sock. That’s when she discovered that she’d been shot. There were several people already in the park at the time and more were pouring out of the school by the minute. Seeing her wounded ankle, which was a through-and-through injury from a 9mm bullet, someone with a cellphone called 911 .An ambulance arrived and took her to the hospital where she was treated and released April 20, 1999. 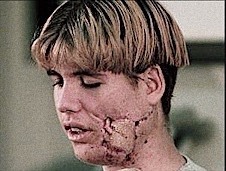 Nicholas Foss (18 in 1999) - Nick was treated for slight injuries sustained in the 15 foot fall through the ceiling and the bullet that grazed his head. Released April 20, 1999. He told investigators later that he felt as though angels were watching over him that day because one of the killers pointed a gun at his head but it didn’t go off when the shooter pulled the trigger. 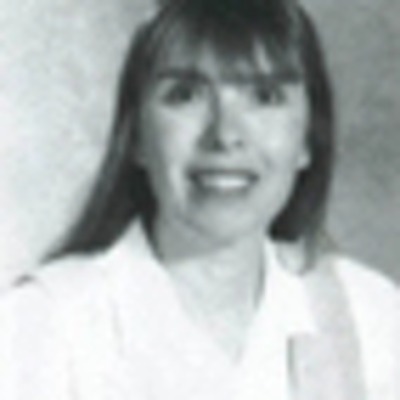 Joyce Jankowski (45 in 1999) - When the shooting began Joyce, a teacher at Columbine, was in the faculty lounge about to have lunch. She heard a commotion outside and when she looked out the window she saw two bodies. Judy Grecko, one of the other two teachers in the room, tried to call 911 but the phone was dead. Several shots soon followed and Joyce and another teacher, Amy Burnett, ran into the small one-person bathroom that was attached to the teachers’ lounge. She was treated for injuries sustained in the fall through the ceiling when she tried to escape the school and was released April 20, 1999. Adam Kyler (16 in 1999) - He was treated for abdominal pain and released April 20, 1999. 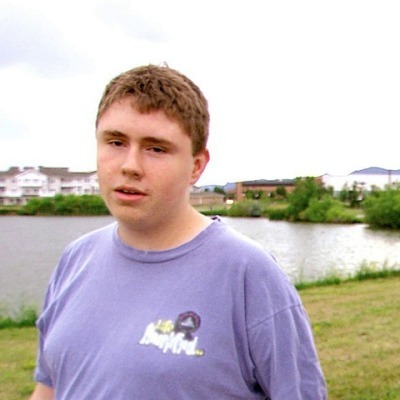 Evan Todd (16 in 1999) - was a sophomore at the time of the Massacre. He was the first to get injured in the library (however, he only suffered from minor injuries), as he was hit from flying splinters that came from the bullet striking the table he was hiding under. 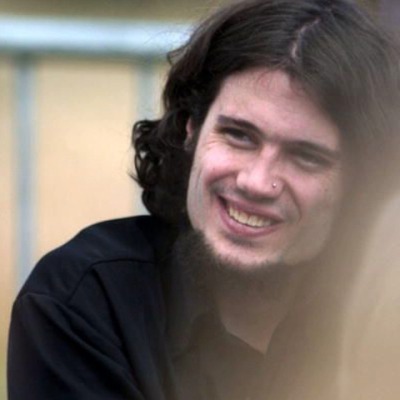 Makai Hall (19 in 1999) - was sitting with his friends in the library when the shooting began. 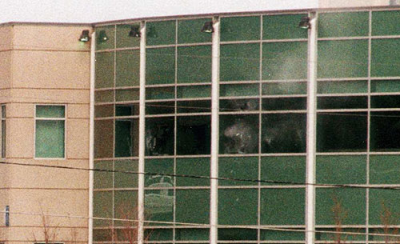 He hid under a table with Daniel Steepleton and Patrick Ireland when the shooters entered the library. When they demanded that everyone with white hats stand up, Dan - who was wearing a white hat - started to get up. Makai held him back, telling him: “Don’t move.” Shortly after killer looked under the table where Makai and his friends were hiding. Smiling, opened fire. Makai was hit in the knee by the shotgun blast. Pat moved to help him and was shot in the head. Pat was knocked unconscious; Makai and Dan played dead. Then killer threw a home-made C02 bomb that bounced under their table and landed on Dan’s thigh. Dan was too afraid to move so Makai reached over, grabbed it, and threw it back out from underneath the table where it exploded mid-air. 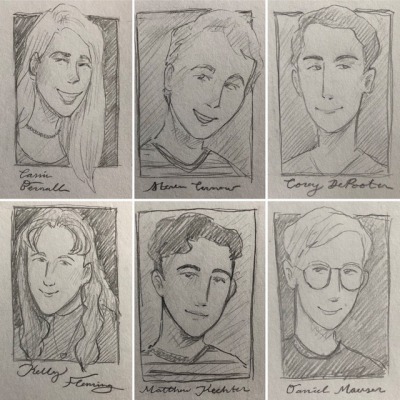 Patrick Ireland (17 in 1999) - After Patti Nielson entered the library with Evan Todd, he hid under a table together with his friends Makai and Dan even though at first he thought it was just a joke; the other two hid under a different table.When the gunmen entered the library and shouted “Everybody with white hats get up” he closed his eyes and played dead.After some time and a lot of shooting he heard Makai groan in pain.He looked over and saw that both of his friends had been shot.Patrick decided to crawl over between them to provide first aid but passed out because he had been shot in the head twice but hadn’t noticed this before.He passed in and out of consciousness for two hours but was woken by the fire alarm eventually.Patrick still hadn’t noticed that he was shot and decided that he had to get out of there immediately but he couldn’t stand up since he had been shot in his leg.He crawled towards a window and managed to pull himself up.He wanted to jump out in case nobody was there to help him but luckily members of the SWAT team saw him and parked their car right under the windowto pull Patrick out. 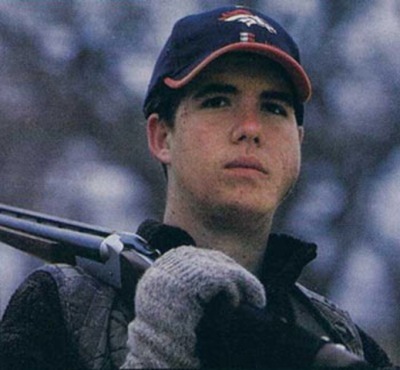 Daniel Steepleton (17 in 1999) - He saw killer look directly at him, smile, and then lift his sawed-off shotgun. He fired at Daniel, who was hit in the left knee. Daniel felt it as a sensation of warmth. He also saw that Makai had been hit in the right leg and it looked “torn up”. Patrick reached over to help Makai;Daniel heard another shot and saw Patrick go down. He had been shot in the head. 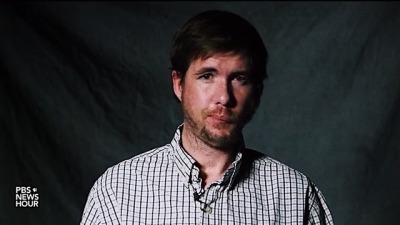 Both gunmen were firing their weapons at the time so Daniel wasn’t sure who had shot Pat. Daniel fell to the floor where he lay with his head down and played dead. He was treated for a shotgun blast to the leg; he took five pellets to the knee and one to the chin. He was released before April 24, 1999. 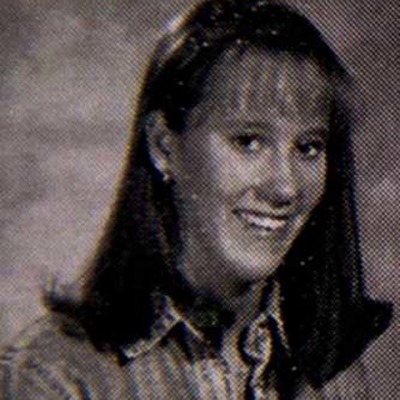 Kacey Ruegsegger (17 in 1999) - She suffered multiple injuries including a gunshot wound to the right shoulder, a through-and-through injury to her right hand that medical officials pulled a metal washer out of, and a gunshot graze on her neck. They pulled a shotgun wad out of her shoulder. At the hospital she was given at least two doses of morphine and was still in quite a bit of pain. 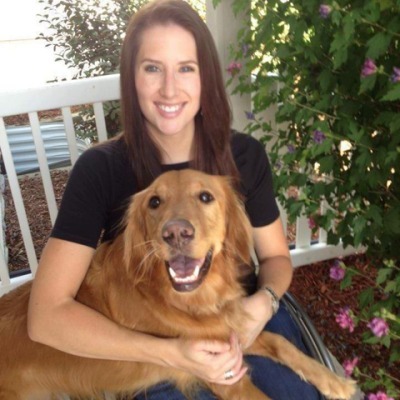 A steel plate was put in her arm and she went through lengthy physical therapy. She was released from the hospital on May 1, 1999. 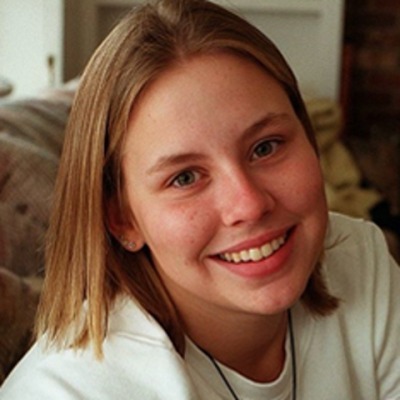 Lisa Kreutz (18 in 1999) - She was hit several times, sustaining multiple gunshot wounds to her shoulder, hand, and both arms. She lay bleeding in the library for 2.5 hours, unable to move due to the severity of her injuries, before she was rescued by officials. She was the last survivor to be pulled from the library. 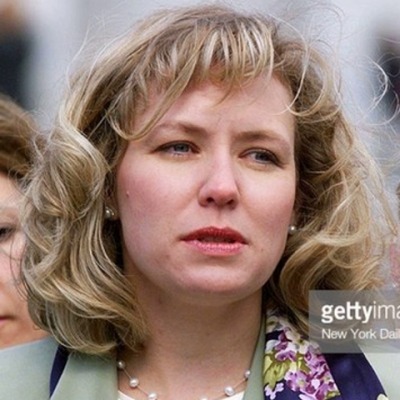 Lisa was released from the hospital April 28, 1999. 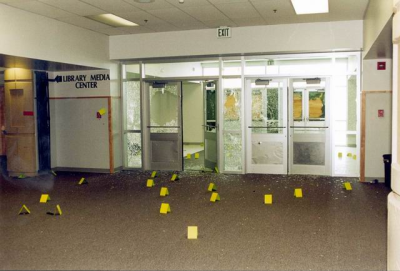 Mark Kintgen (17 in 1999) - When the shooters entered the library and began to kill people Mark didn’t see much from where he was hiding but he clearly heard one of them say after shots were fired: “Oh look at his brains!”. Laughter from the killers followed. Not long after that he heard one of the two assailants shoot out a nearby glass display case. 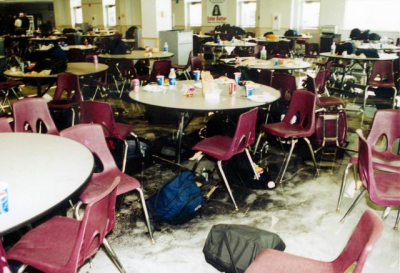 The gunman then went over to the table where Mark was hiding and shot at him. Mark took a bullet to the head and one to the shoulder. The bullet in Mark’s head was surgically removed. 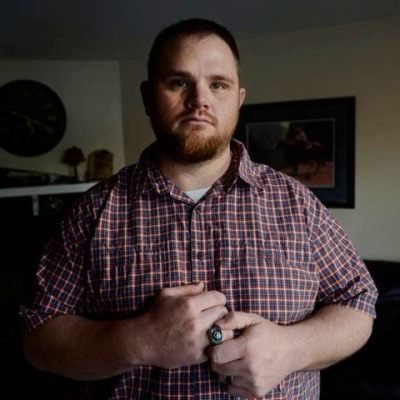 He was released from Denver Health April 23 with a bullet still lodged in his shoulder. 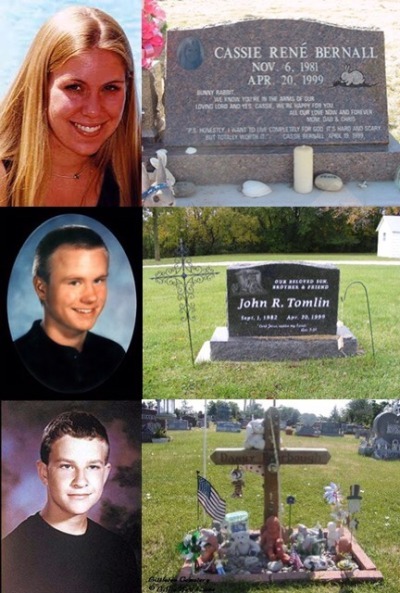 Nicole Nowlen (16 in 1999)) - was hiding under the table with John Tomlin when the shooters entered the library. She was shot in the abdomen but survived. 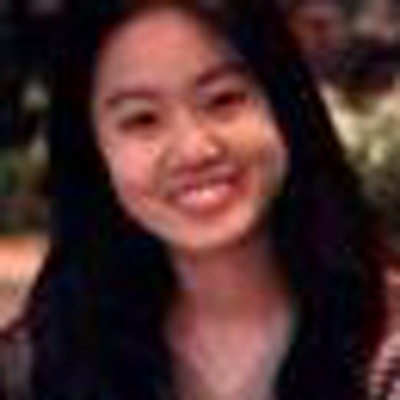 Jeanna Park (18 в 1999) - She was hit in the right knee, right shoulder and left foot, and fell to the floor where she stayed until she noticed some of the other people in the library getting up and leaving.She went to leave as well, checking the computer tables for her sister. Not seeing her, Jeanna left alone. 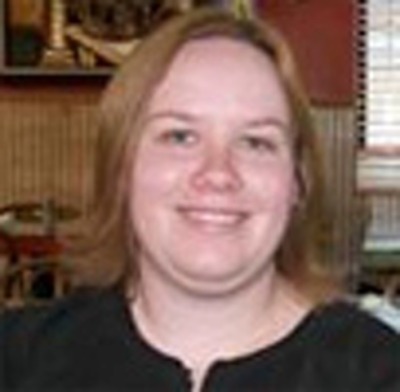 Jennifer Doyle (17 in 1999) - was hit with three shotgun pellets in her right hand: One crushed her ring finger, another entered her wrist, and another entered the back of her hand, resulting in seven broken bones. Released from the hospital April 24, 1999. 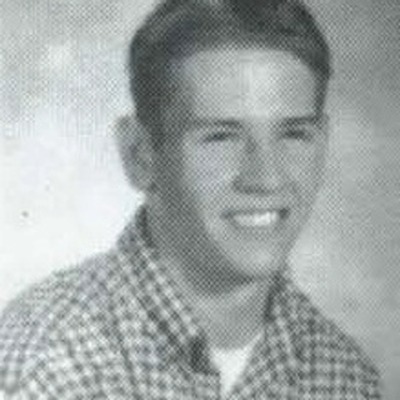 Austin Eubanks (16 in 1999) - He was put in the hospital and treated for a gunshot gazed knee. 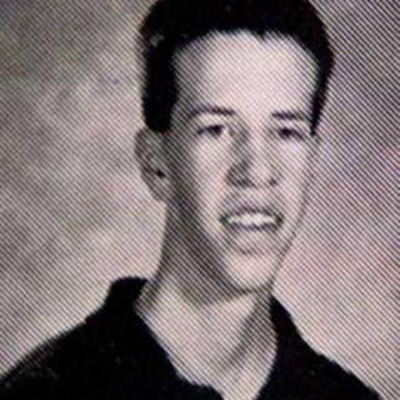 He was released the same day and graduated from Columbine High School on May 20, 2000.